How is acid production controlled? Can the gut be depressed? - What to do? 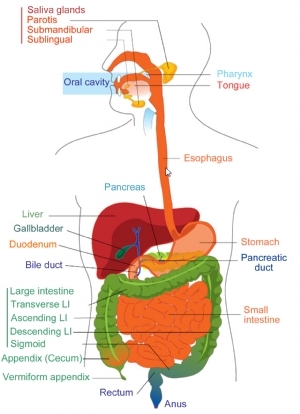 Psyche and digestion - "The Stomach Brain"
Are you best friends with your bacteria? In India they say: "If your gut well, you will never get ill". 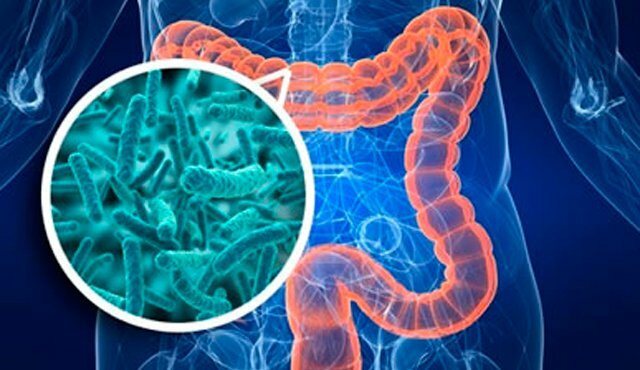 New knowledge of the importance of the microbiome is growing rapidly. Our bacteria are involved in everything from how we digest to how we think and feel! Being able to successfully treat and counsel clients to improve digestion, is necessary to get rid of many ailments elsewhere in the body. An interesting reason to focus on the large intestine is, that a large part of our immune cells - up to 80% - are located there. 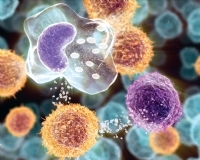 These cells can be activated and move to other tissues when needed. 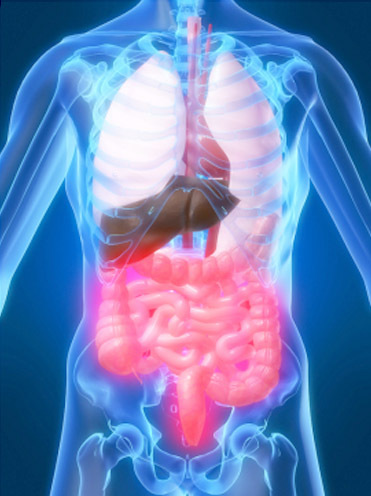 Never forget the intestines, when working with inflammatory processes, which means virtually all health problems. All mucous membranes in the body can be regarded as one large ”mucous membrane organ”. The endothelial cells forming these membranes are all developed from the same original stem cells (entoderm). Even though they later on differentiate to become specialised cells in for instance the mucous lining of the nose or the small intestine, they maintain the ability to communicate and cooperate. Therefore we often find, that a problem in the lining of the digestional tract is accompanied by a problem in other mucous membranes somewhere else. 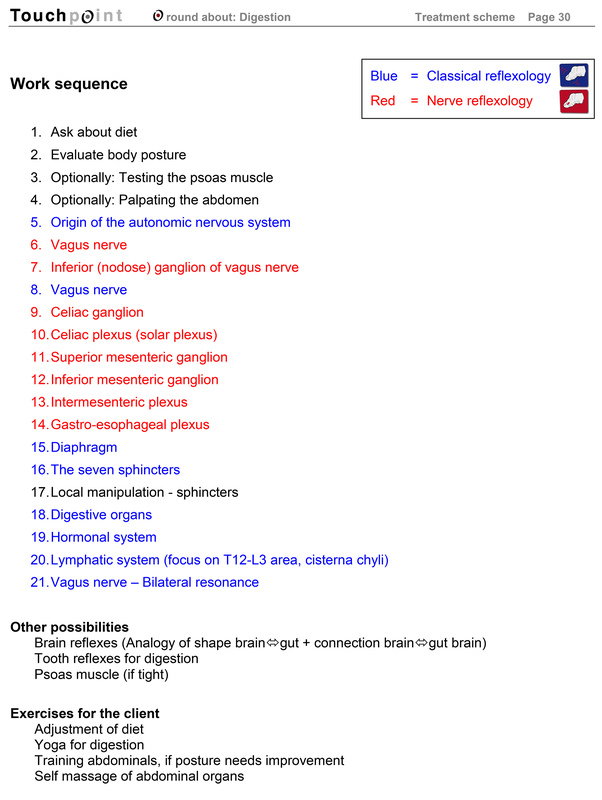 The digestion system has a much more comprehensive nervous system than previously known. This so called ”Gut brain” or ”Second brain” contains more neurons than the entire spinal cord, and is capable of making its own decisions in many cases. 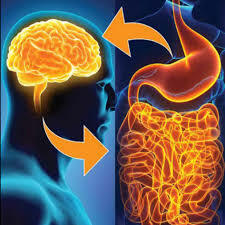 All neurotransmitters found in the brain are also in the gut, some even in much higher quantities. We will take a closer look at what this knowledge implies for reflexology. A highly complicated but also fascinating interplay of processes take place when we digest our food. A wider knowledge about this helps understanding the many symptoms arising from the digestional system. In this workshop we teach techniques from both classical and nerve reflexology.